Summer Camp Sessions are 2 hours a day, from 1:00-3:00, Mon-Tues-Wed-Thurs. The only exception is session 1 which starts June 25th-28th, Tuesday thru Friday because of the extended school days for Highline schools. 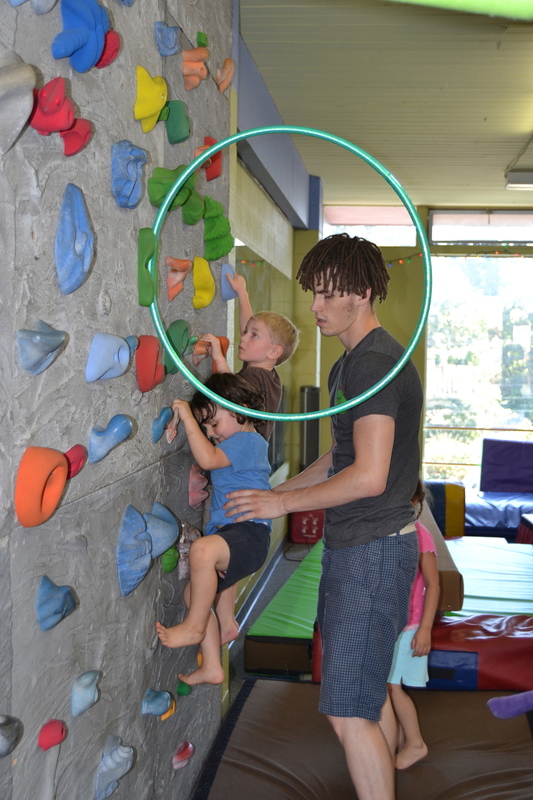 Weare offering 3 types of camps this year: Gymnastics, Ninja Parkour and Climbing.Each day of camp, the kids will enjoy learning new skills through play, obstacle courses, instruction and stations with a ton of fun! The camps are $125 per week for 8 total hours of classes, including snacks and special games to make it super fun for kids. If you sign up for 3 or more camp sessions, you will only pay $100 for the 3rd and 4th weeks. Sign up for 5 or more camps and pay only $75 for the 5th, 6th and 7th weeks. Both preschool (3-5 years) and grade school (6-12 years) kids will attend camp for 4 days from 1:00-3:00 and we will divide into groups according to age and skill levels. Great news if you have kids in both age groups. Reserve a space for your kids soon! Membership is required for camp enrollment. Become an annual member and receive discounts for some services including open gym and kids night out. An Annual Membership is $30 for one child plus $15 for each additional sibling. Boys and girls will love training on new American Ninja Warrior-like courses each day in a safe environment, like jumping off, hurdling over and climbing up objects. If you know a Ninja Warrior, this is the camp for them. We will make super fun and challenging obstacle courses parkour style increasing in difficulty as the week progresses. Advance your gymnastic skills in this camp where we will combine fun, fitness and gymnastic skill building. Kids will love learning tumbling and apparatus skills as they move through our favorite stations. We will use the climbing wall to learn climbing techniques, how to stick to a route, repelling and how to stay on the wall longer. We will also learn some knot tying and how to traverse different challenges.